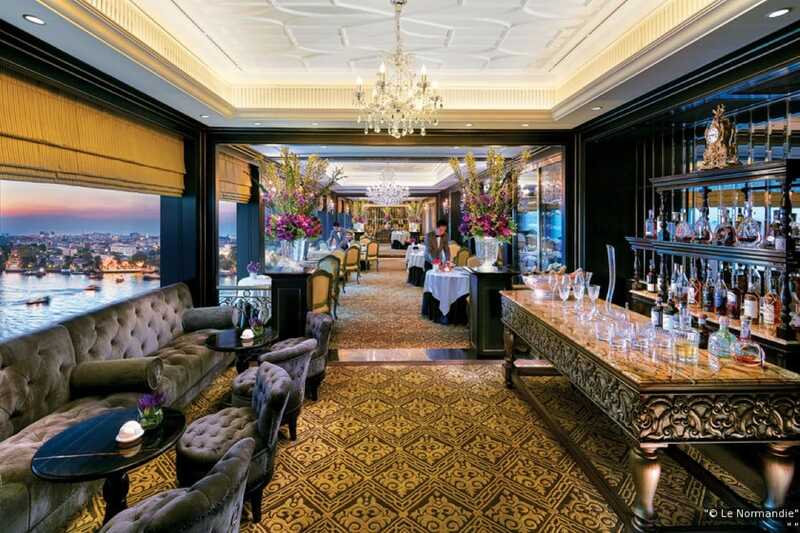 Indulge in refined French cuisine at these starred restaurants in the Thai capital. 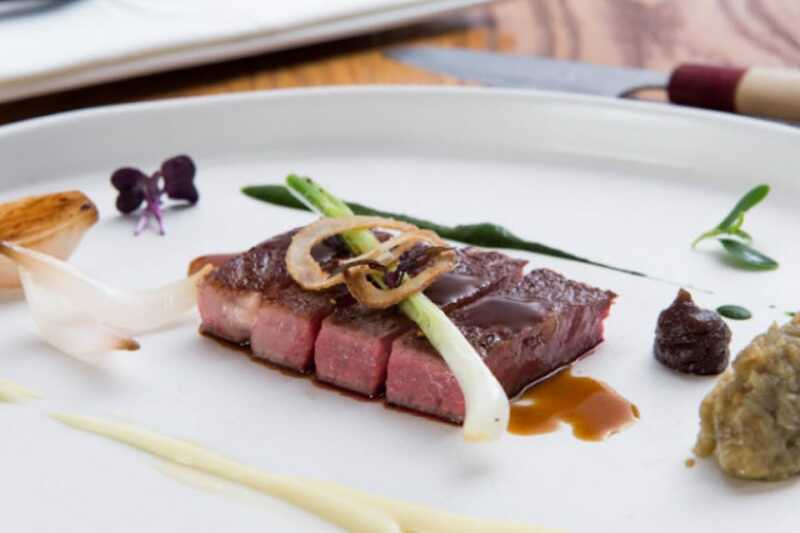 The inaugural MICHELIN Guide Bangkok was launched last December in the Thai capital with much fanfare and it drew the world’s attention to the city’s buzzing food scene, from street food and Thai cuisine in its myriad forms to international gastronomy at its finest. 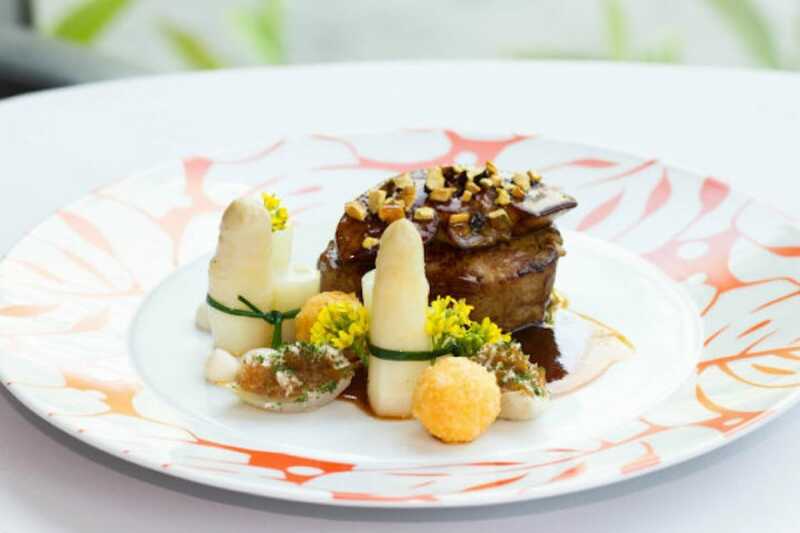 French cuisine made a fine showing with 13 entries in the red guide, five of which garnered Michelin stars, including the two-starred La Normandie, established since 1958 in The Mandarin Oriental Hotel. Here’s where to go if you’re in The Land Of Smiles and have a hankering for a bite of fine French cuisine. Bon appetit! With impressive city views from its terrace, this restaurant on the 25th floor of the hotel is an ideal spot for a date. Inside, the décor is chic and all centred around an open kitchen with oversized industrial light fittings and walls made with charcoal — one of the “elements”. The modern cuisine creatively fuses the best of French and Japanese dishes, and there is a set menu that offers a varied selection. Enter this hotel restaurant and your world gets a little topsy-turvy, with a grand piano hanging from the ceiling and upside-down chandeliers. But one bite of the creative French cuisine and all will be right again. Choose from one of the five, seven, or 10-course tasting menus to get the full experience. The restaurant and menu were conceived by renowned chef Jean-Michel Lorain — his daughter adds charm and one of his protégés runs the kitchen. Joël Robuchon's cooking has delighted foodies around the world and the formula that has proved so successful is recreated here — if it ain't broke, why fix it? 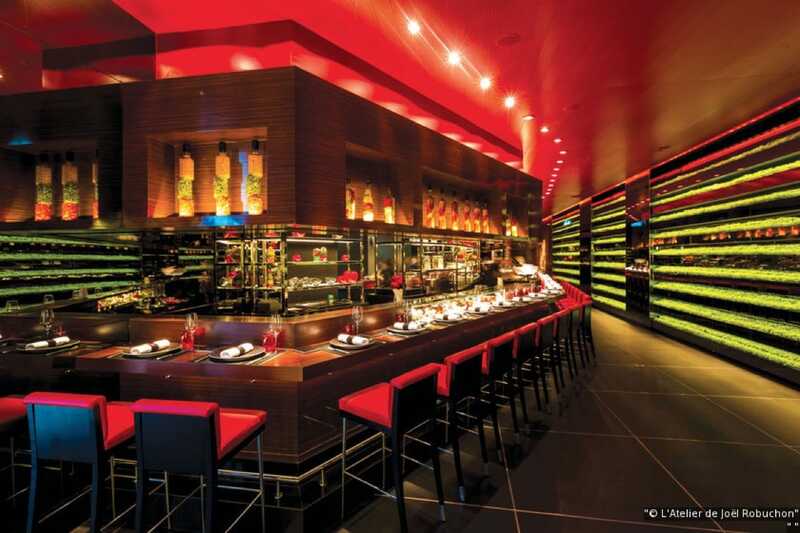 In the Thai capital, Robuchon has put down roots in the iconic MahaNakhon CUBE. The experience here is intimate, stylish and engaging, with classic French gastronomy served in small plates or conventional dishes. Either way, the cuisine is sophisticated and impeccably delivered. The dessert trolley is a feast for the eyes. 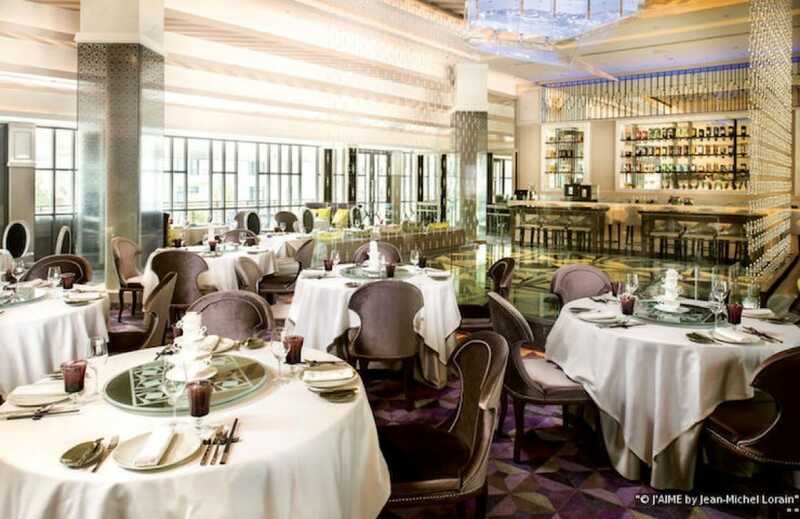 Since opening in 1958, Le Normandie at The Mandarin Oriental has earned a reputation as a premier destination for those looking for sophisticated French cuisine. The restaurant was refurbished in 2015 but certain elements — like floor-to-ceiling windows overlooking the Chao Phraya River and elaborate flower arrangements filled with local flora — remain the same. Superb ingredients, refined techniques, and well executed combinations of flavours and textures ensure its reputation is deserved. Service is impeccable. Banner image courtesy of Le Normandie.